Dental implants are a natural looking, long lasting, comfortable and safe alternative to bridgework or dentures for restoring missing teeth. With dental implants, people are rediscovering the ability to laugh and eat comfortably and the self-confidence that comes from having a healthy beautiful smile. Implants completely simulate a natural tooth in form and function and are ultimately a replacement for the root of the missing tooth. In addition to restoring a natural appearance in the mouth, dental implants can help preserve facial structure, preventing bone deterioration, which typically occurs when there are missing teeth. 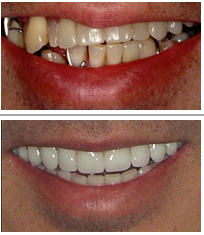 There are different factors that determine if a patient is a candidate for implant restorations. 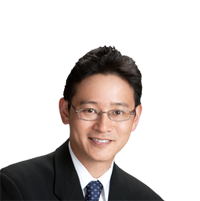 Dr. Shimizu is dedicated to providing his patients the very best in dental implant restorations and is a speaker and instructor on dental implants including the internationally renowned Euro Dental Implant system. You will receive a comprehensive implant evaluation to determine if a dental implant is right for you. Our office has 3D CT scan to easy diagnose implant cases. Please contact our office today for more information or to schedule an appointment. A dental implant is actually a replacement for the root of a tooth. Like tooth roots, dental implants are secured in the jawbone and are not visible once surgically placed. Titanium and titanium alloys are the most widely used metals in both dental and other bone implants. They are lightweight, strong and bio compatible, which means that it is not rejected by the body.